Connect with a doctor in minutes using your computer, tablet or phone. Take control of your health. At home, at work or on the go. See a doctor anywhere, anytime. Here, the doctors wait on you not the other way around. It’s never been more convenient to have a live, on-demand, doctor visit online. We can handle all of your medication refills and chronic management for many diseases as well urgent care visits for acute problems. *Some insurance companies and employers cover telehealth visits. Contact your Human Resources department or health insurance company to see if your visit is covered. These common illnesses and many other can efficiently and effectively be treated with a video doctor visit. 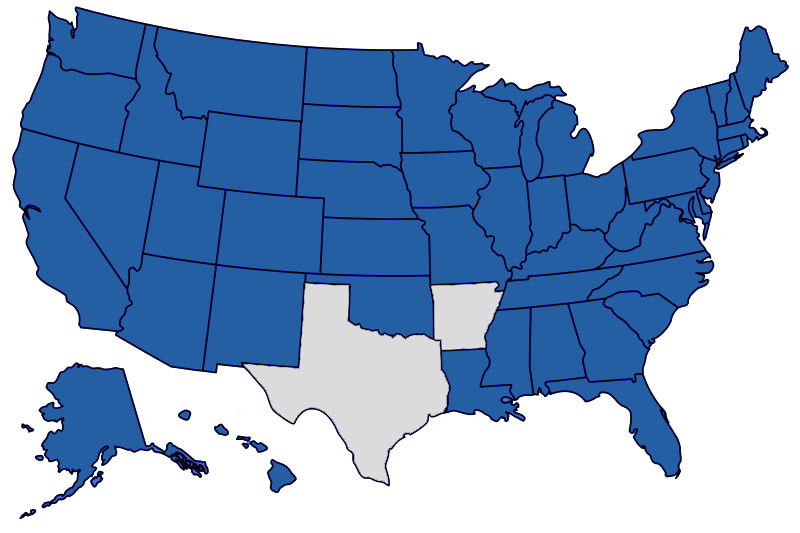 You can see doctors in 48 states nationwide. See a doctor with Urgent CareMD from the comfort of your home now.